Google has announced a bug-bounty program that will pay researchers $500 for each vulnerability they report in the Chrome browser and its underlying open-source code. In a post to the Chromium project's blog , Chris Evans, who works on the Chrome security team, said the base bounty would be $500, but that "particularly severe or particularly clever" bugs would reap rewards of $1,337 each. The latter amount is a reference to "leet," a kind of geek-speak used by some researchers; there, "leet" is rendered as "1337." 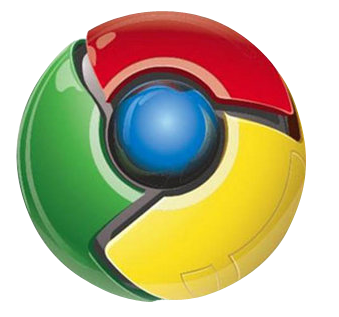 New vulnerabilities in Chrome, Chromium -- the open-source project that Google uses to craft Chrome -- and plug-ins that ship with Chrome, such as Google Gears, are eligible for bounties, said Evans. Bugs that are ranked "high" or "critical" in Chrome's rating system get preference, he added, but others may be considered. "We are hoping that ... this program will encourage new individuals to participate in Chromium security," said Evans. "The more people involved in scrutinizing Chromium's code and behavior, the more secure our millions of users will be." "Internet Explorer, Safari, Firefox...those browsers have been out there for a long time," said Pedram Amini, manager of the security research team at 3com's Austin, Tex.-based TippingPoint, which operates Zero Day Initiative (ZDI), one of the two best-known bug-bounty programs. "But Chrome, and now Chrome OS, need researchers. Google needs people to put eyes on the target." Both Amini and Google's Evans cited Mozilla's similar program as the first notable vendor-sponsored bounty. Mozilla kicked off a $500-per-vulnerability bounty in August 2004 that it is still in operation. The Mozilla program pays for bugs in the code used to create Firefox, Thunderbird and other open-source applications.